Why Stainless Steel Heavy Duty Hinges are in Demand? 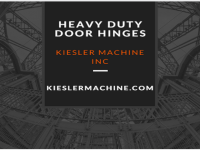 – Kielser Machine Inc. 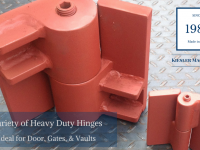 Heavy duty hinges possess a high load bearing capacity up to 2000 lbs. 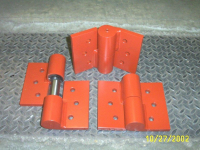 These hinges help balance the weight of swinging structures such as doors, gates, cabinets, etc. 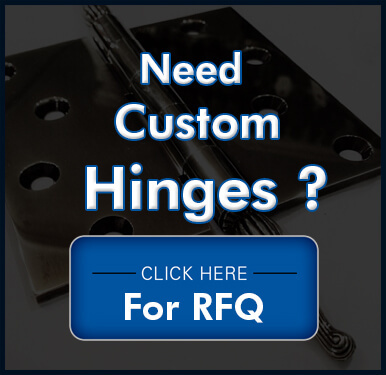 Hence, material consideration becomes one vital aspect when it comes to designing heavy duty hinges. 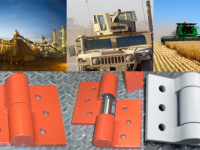 Some common materials used to build heavy duty hinges, include aluminum, steel, copper, etc. Each material has typical properties, which serves its own specific purpose. Stainless steel is one of the most common materials for heavy duty hinges. What makes them popular? What are their benefits? Read the post to know answers. Some beneficial features of stainless steel hinges are as mentioned below. Corrosion Resistance: The hinges used in in marine, chemical, or pharmaceutical environments are prone to extreme working conditions. Over the time, small holes are formed in hinges made from other materials, which aggravates, and causes cracks and leaks. Unlike other materials, stainless steel offers higher resistance against corrosion. 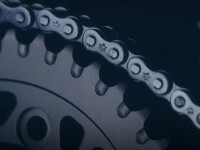 It is an alloy of nickel, chromium, molybdenum, and carbon. The nickel contributes to its corrosion resistance property. Hence, stainless steel heavy duty hinges offer superior resistance against corrosion and rust, and are increasingly popular in marine and chemical environments. Improved Aesthetics: Many times, hinges are placed in the front of the doors and windows. Thus, aesthetic appeal is also one of the important considerations to be made in such cases. Although stainless steel appeals with its brilliant finish, still surface finishing helps improve its visual brilliance. There are a vast number of surface finishes, which help enriches surface brilliance of these hinges, and makes them suitable for a number of areas. These surface finishes also help reduce maintenance. Also, the stainless steel hinges are easy to clean, and their shine can be easily retained for a long time. 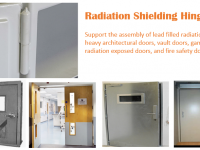 Thus, stainless steel hinges find applications in pharmaceuticals, hospitals, kitchens, etc. Excellent Temperature Resistance: Stainless steel hinges are often a good consideration for certain applications, where temperature is a concern. Some stainless steel grades such as 304 and 306 offer excellent the temperature resistance at high temperatures. Also, many grades of stainless steel offer excellent mechanical properties at cryogenic temperatures. This makes them extremely purposeful for diverse industrial applications where the temperature is one huge consideration. Durability and Structural Integrity: Stainless steel has an excellent weight to strength ratio, which makes it a suitable material for heavy duty hinges. Also, stainless steel can be used in thinner thickness in comparison to other steel grades or materials. This leads to huge cost savings. 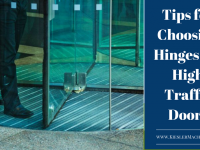 The above -mentioned reasons suggest why heavy duty steel hinges are much in demand. The hinges being an important hardware, you need to ensure that they are sourced from a reliable supplier. 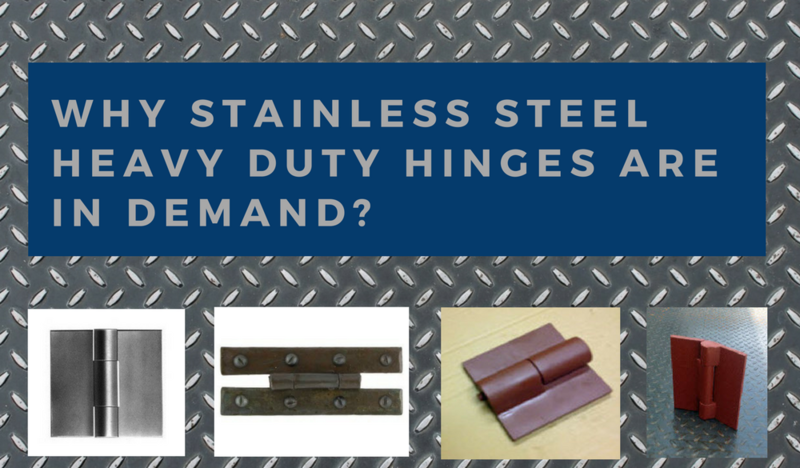 Are you considering stainless steel heavy duty hinges for your industrial project? If yes, then you must consider an industry veteran like Kiesler Machine, Inc. The company manufactures heavy duty hinges in various specifications to meet the specific application requirements of its industrial clients.